Information Technology: Made Simple covers the full range of information technology topics, including more traditional subjects such as programming languages, data processing, and systems analysis. The book discusses information revolution, including topics about microchips, information processing operations, analog and digital systems, information processing system, and systems analysis. The text also describes computers, computer hardware, microprocessors, and microcomputers. The peripheral devices connected to the central processing unit; the main types of system software; application software; and graphics and multimedia are also considered. 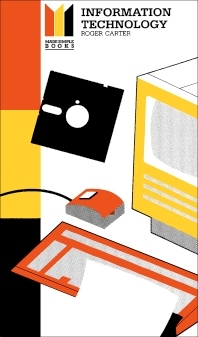 The book tackles equipment, software, and procedures involved in computer communications; available telecommunications services; and data and transaction processing. The text also presents topics about computer-integrated manufacturing; the technology of information processing and its business applications; and the impact of this technology on society in general. Students taking computer and information technology courses will find the book useful. 5.1 What is System Software? 6.1 What is an Application Package? 8.1 What is Computer Communications? 9.1 What is Data Processing? 10.1 What is Computer-Integrated Manufacturing?